THE RACQ Capricorn Helicopter Rescue Service was tasked to Arcturus private property near Springsure just after 8.30am this morning. A male in his early teens sustained lower leg injuries in a farm vehicle roll over. The teen was allegedly a passenger of an ATV when it rolled just before 8am and subsequently causing a severe fracture to the patient's leg. 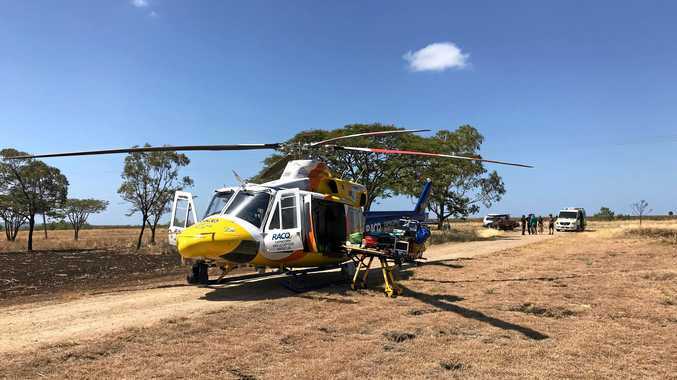 The Queensland Ambulance Service was first on the scene however a call was made to get the helicopter rescue service for a suspected spinal injury precaution. The patient was treated at the scene by the on board Critical Care Paramedic for injuries and was transported to the Rockhampton Hospital in a stable condition.